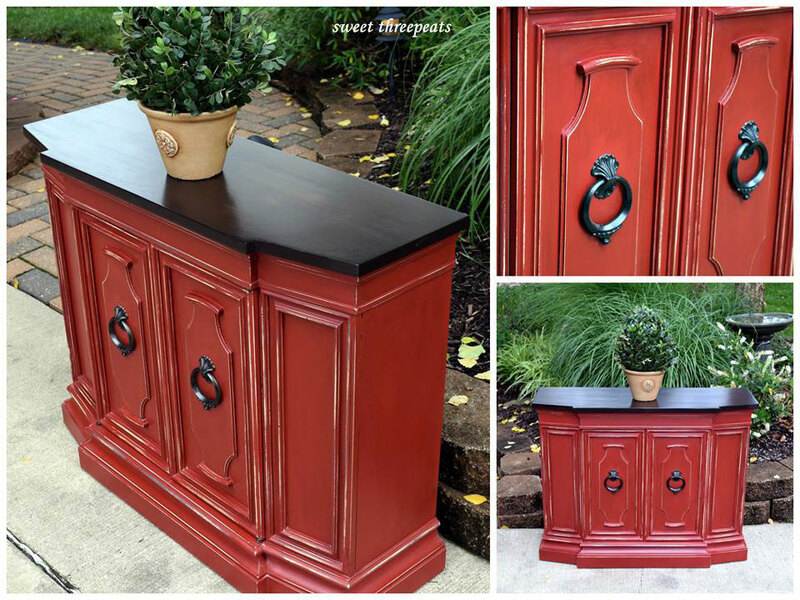 Love this makeover from Refurbished by Sweet Threepeats​ of St. Charles, MO! Sharing a custom piece for a client. General Finishes Tuscan Red with an application of dark wax to give age. The factory finish top had to go and we knew Java Gel would look great against the red! !